2015 Summer 2， Summer 3. 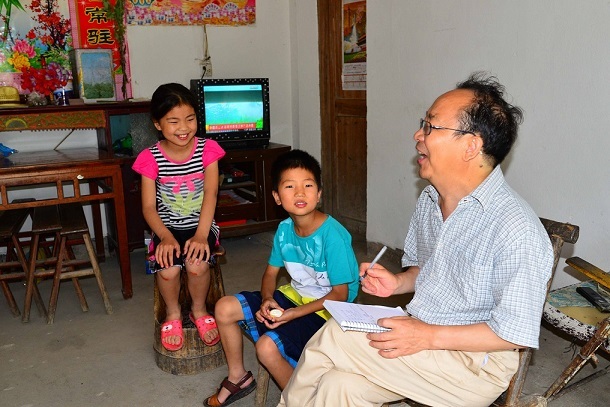 On June 21, Mr. Hu Jining, Peng Dening and I went to visit poor kids in Zhong Xi Xiang and then Ni Deng Zheng in Ninnguo, Anhui, China. We visited seven families. The older sister is in 5th grade and the little brother is in 2nd grade. They live with their parents and deaf uncle. Her mother has serious chronicle disease and become disabled. Both are outstanding in school. The sister is also quite mature. 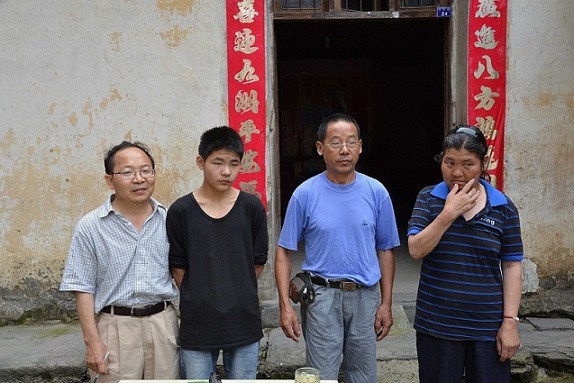 Their father works very hard to support the family and tries very hard to find cure for his wife. They appreciate our support very much. This girl is in 5th grade. She lives with her parents and an older sister in college. 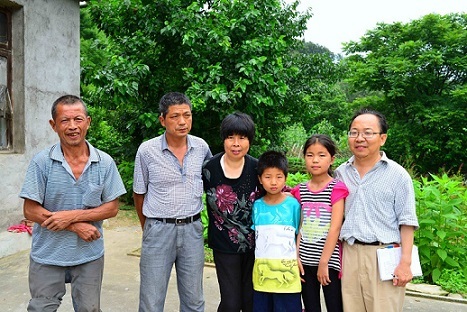 Her father has chronicle and serious back pain, and can not work anymore for a long time. She likes math and is excellent in math. She is sponsored by Mr Hu Jining's younger son (see the photo). He gave the girl a few books. This boy is a 7th grader and lives with his grandpa and his father who does in odd jobs in Zhejiang and only comes home twice a year. His mother left them when he was 3. He likes math, geography, and basketball, and is an outstanding student in school. This boy is an 8th grader, living with his parents. His mom is disabled and mentallu retarded. His father has some hearing problem and does odd jobs locally to support the family. He has been sponsored by Brian since 2007. This boy is a 7th grader living with his aged grandparents and his father. His father has mental disease and his momther left a few years ago. He likes Chinese and sports. This boy is a 2nd grader living with his parents. His family has been unlucky in last few years. 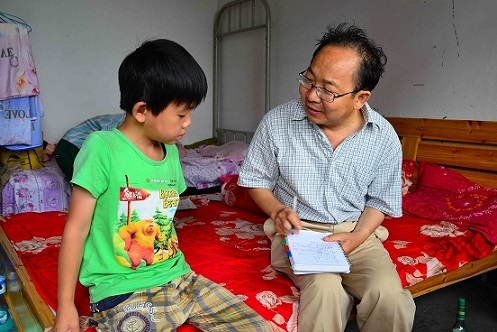 His father got injured three years in one leg, and his mother got injured last year in factory. His father had a car accident and went to jail for 10 month as he was not licensed to drive at that time. Now both his parents work at a local factory (they live at the factory dorm too). They will not need our support in one or two years.